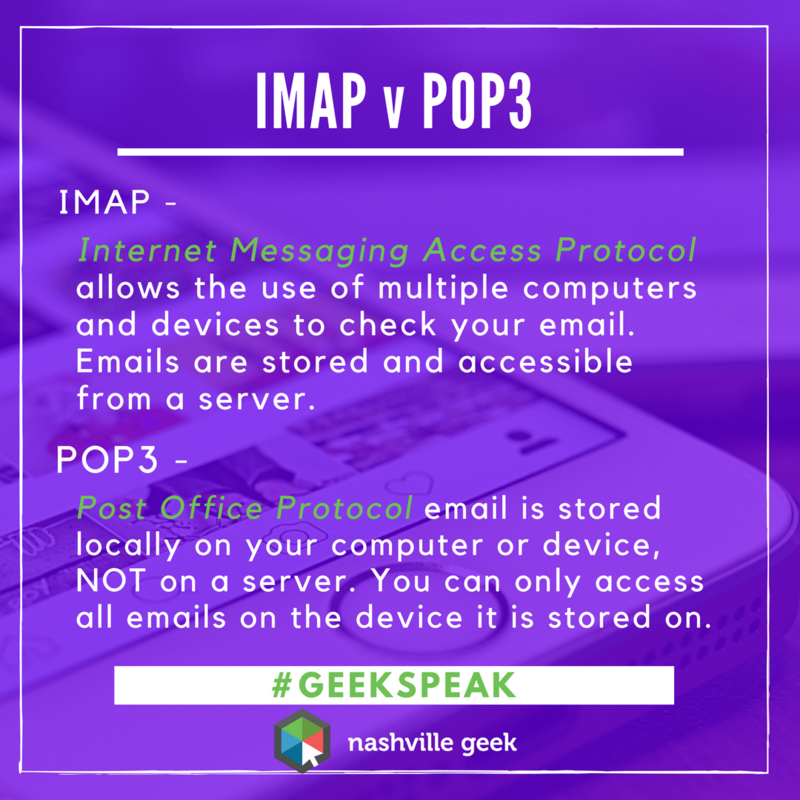 IMAP is the suggested protocol to keep all of your incoming and sent emails freely accessible – from any device and from anywhere. If you want all of your devices to be ‘in sync’ with read/unread emails across all devices, use IMAP. POP3 downloads email from a server to a single computer then deletes it from the server (depending on your settings). In our multi-device world, IMAP is the easier option. However, if security is a concern, or you have an email storage quota to stay under, POP3 can offer a solution.